My dad taught me to be suspicious of fads; hold fast to who I am and what I like. But there are some fads that I sort of love. Beards. Thank you fad gods for bringing back the beard. Frugality. I am pleased as punch to see that people are looking for ways to make due with what they have. I am a tightwad through and through and it does my heart good to see the internet flooded with wonderful ideas about frugal living. Good job internet. The funny thing about all of the things I read about frugality is that so many of them I already learned from my grandma. 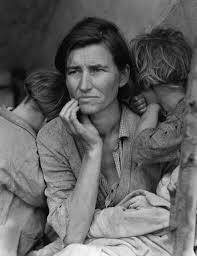 She, in turn, learned them by being a product of the Great Depression. Side note: shouldn’t it be called the Terrible Depression or the Not Too Great Depression? Who names these things? Our generation thinks we are so very clever with our “life hacks” and DIY but, really, they are using old methods to meet a new crisis. Let’s face it, we are still in a recession. There are not enough jobs to go around and job security is iffy. A college degree may do nothing more than ensure that you work at Starbucks instead of Burger King. 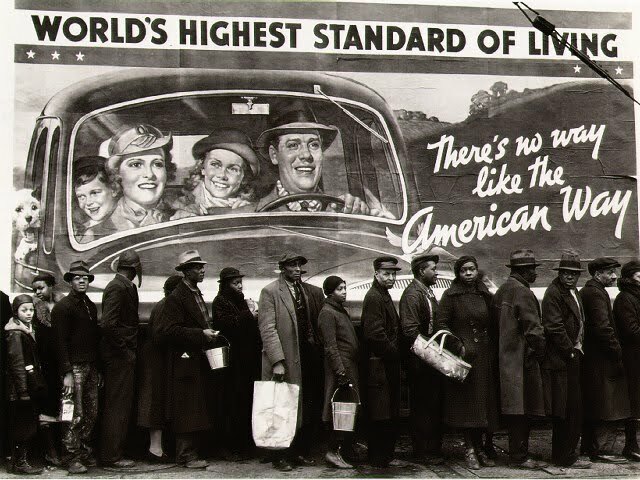 To top it all off our standard of living is high and so is our debt. Let’s lend an ear to a generation who survived the Great Depression. My Grandmother was born in 1935 in South Carolina. Her father died when she was very young, leaving her mother to rear three children. My grandmother learned what it is to want. Her mom, “Mother”, as she calls her, worked at a dress shop barely able to scrape together a living for her family. They learned to take what they had, use it to it’s fullest and when they didn’t have what they wanted they had no credit card to charge. They just made due. Necessity is the mother of invention. When we don’t have the world at our fingertips, and most of us don’t, we can rack up enormous debt trying to live the way we feel we deserve to live. Or we can use our resources to live a quiet life and work with our hands. In a nation that is wrapped up in youth worship we disregard the wisdom of older generations. We die gray hairs and rub magic balm on our wrinkles. We ship the elderly to homes to be cared for by strangers. Why aren’t we learning from them? People who have seen decades of life we cannot know and who may know a site more than we do. Thus begins a new series of posts celebrating the frugality that was second nature to our grandmothers. Waste not want not. How about you? What have you learned from your grandmother about frugal living? My grandmothers were gone before I came along, but I know they saved things for later use that everyday folks just throw out now. Aluminum foil gets re-washed, clothes get hung to dry in the sun, socks and pockets get mended. I can hear my grandmothers shushing the naysayers.